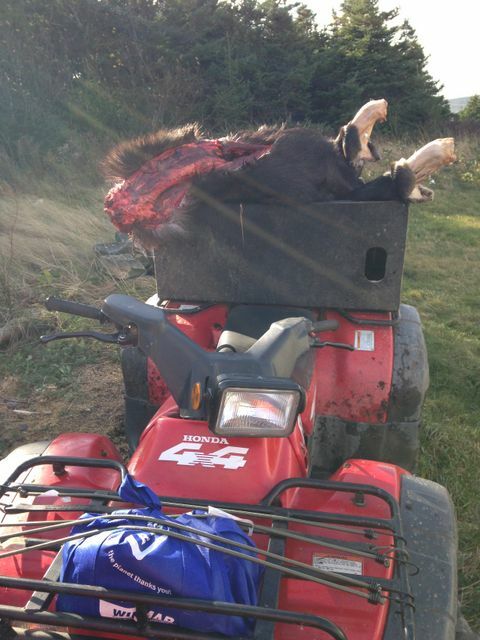 A few years ago Bassan went shopping for a good reliable 4x4 ATV mostly to use Moose Hunting with the crew down in Trepassey. 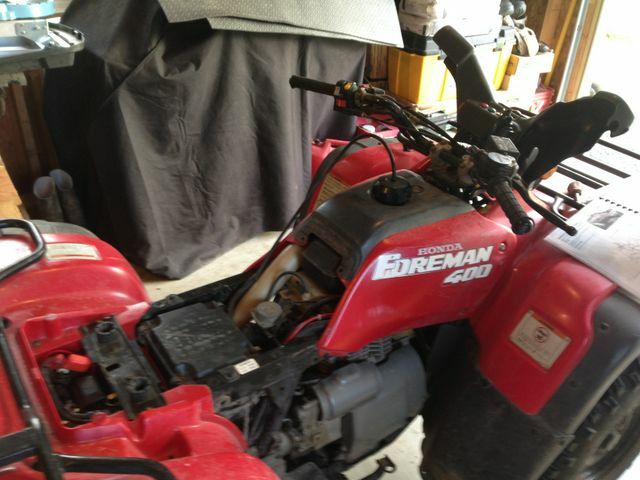 He came across this Foreman 400 in the spring of 2012 and negotiated a fair price knowing that it needed some repairs. 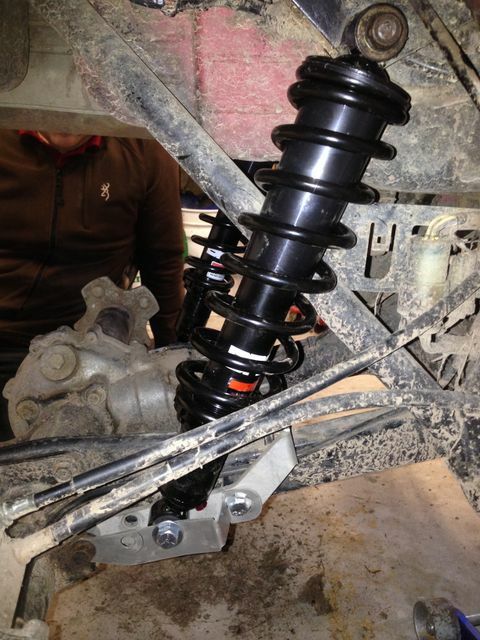 First was an inspection of the rear end, there was a bad rear left wheel bearing which usually leads to more trouble. That trouble is evidenced in the pics as muddy water gets past the seal next to the failed bearing and fills the axel tubes with crap. 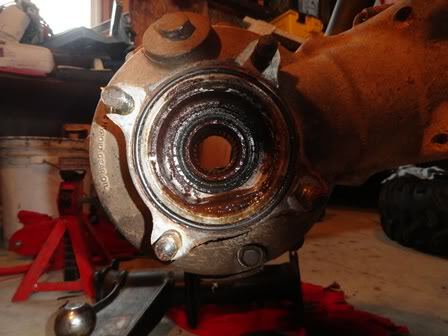 This causes corrosion leading to the splines of the axel and ring gear to wear out. 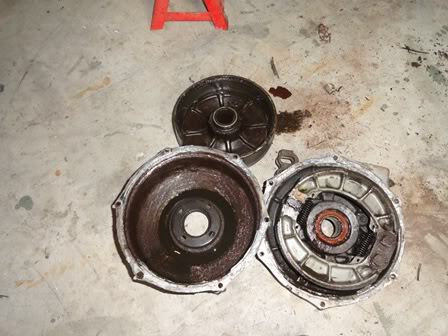 The rear drum brake wasnt in much better shape with well worn seals letting dirt and grime inside the housing. 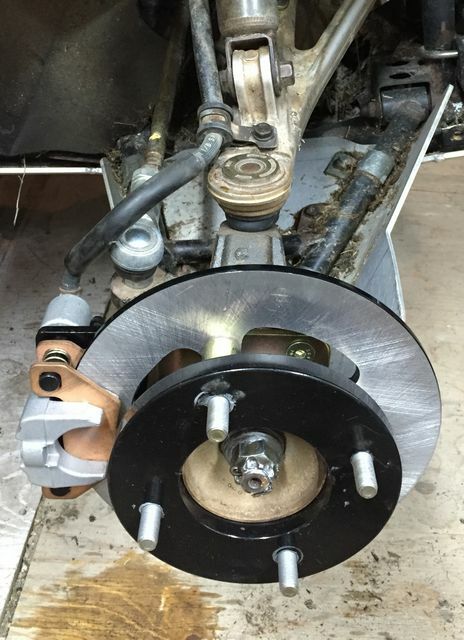 Although not stripped yet, there were clear signs of wear so Bassan installed an aftermarket replacement axel, and replaced the left & right wheel bearings & seals using an All Balls Racing kit. The brakes were cleaned, new shoes installed and put back together with fresh seals. After the rear end was reassembled an aluminum skid plate kit from JnJ Industries arrived and installed in short order. This kit covers from the front differential to the rear of the engine, and included 2 A-arm guards for the front suspension. The winch that came with the bike was a worn out Superwinch that had seen years of snow clearing by the previous owner. It wasn't working, the wiring was a mess and used a giant yellow controller strapped to the handlebars. 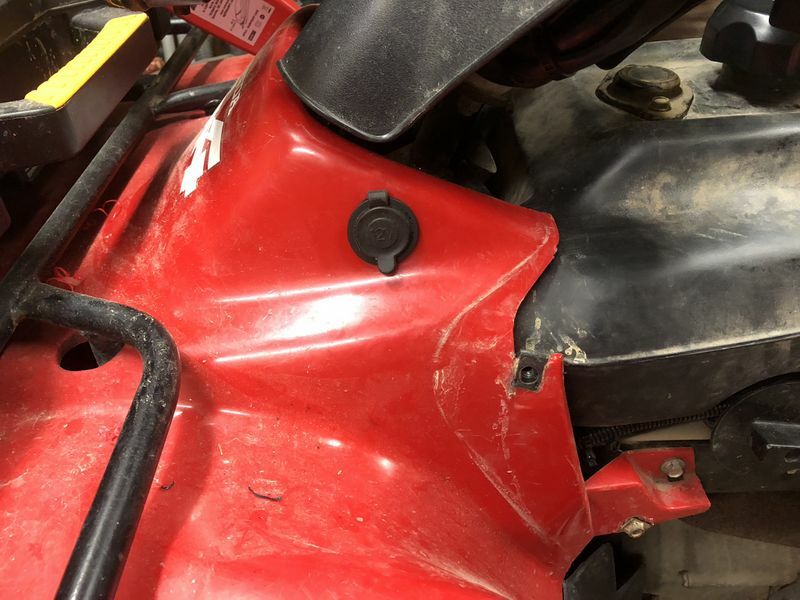 The other problem was that whoever installed the winch didn't install the upper bolts to fully secure the mount to the frame. 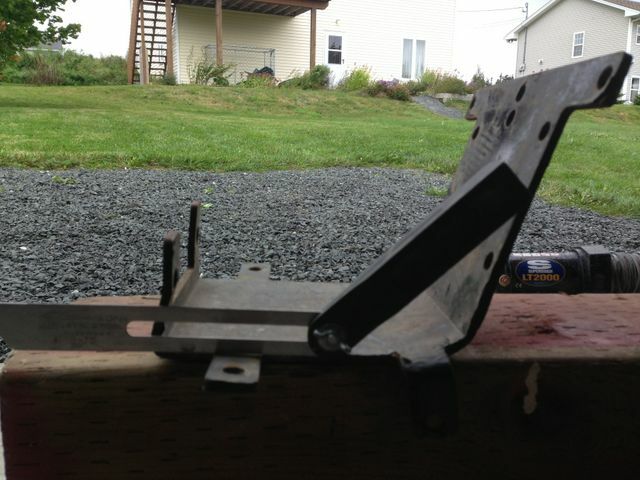 The angle finder shows the angle of the bike frame, and just how badly the mount was bent over the years. 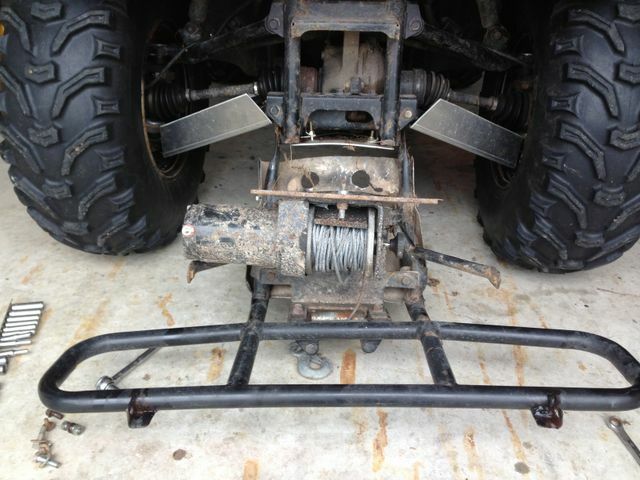 A brand new Runva 2500lb winch and new mounting bracket was ordered online. 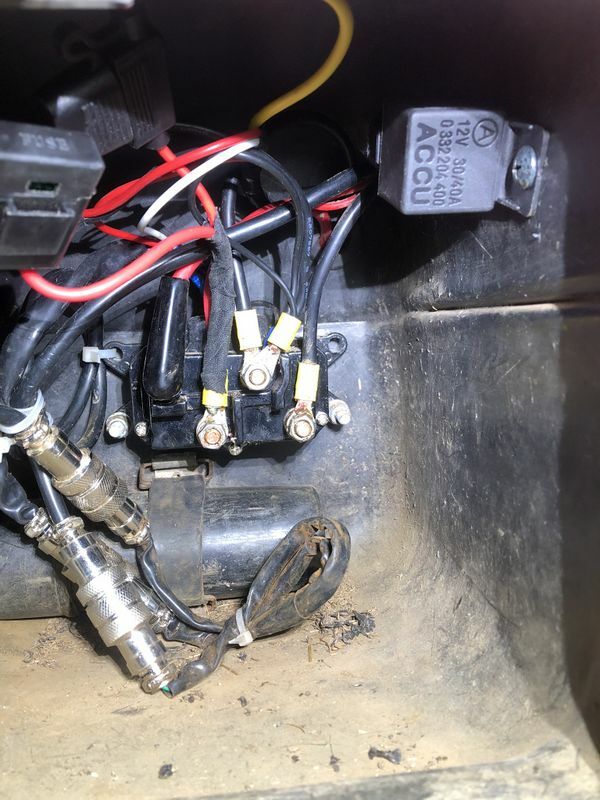 The Runva winch came with a tidy handlebar mounted micro switch so Andrea installed the contactor neatly in the rear storage compartment on the Foreman. 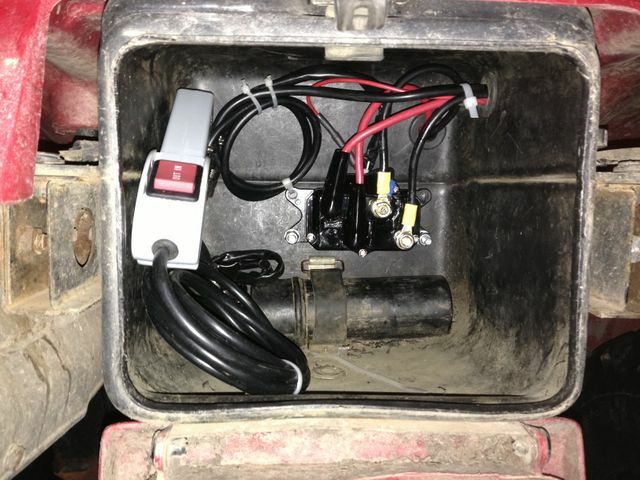 The winch also comes with an auxiliary controller that can be plugged into the harness. 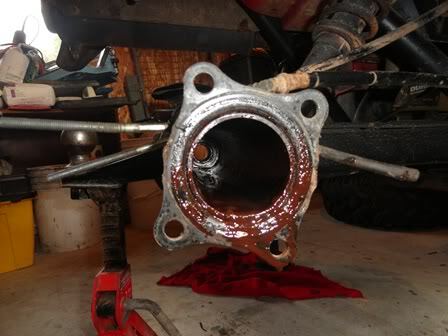 The stock front drum brakes had seen better days and were in need of a major overhaul. 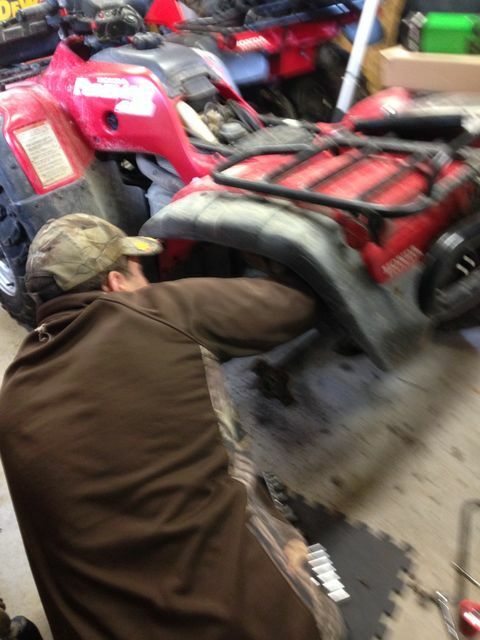 After adding up the cost for replacement parts, Andrea opted to order a Super ATV disc brake upgrade kit. 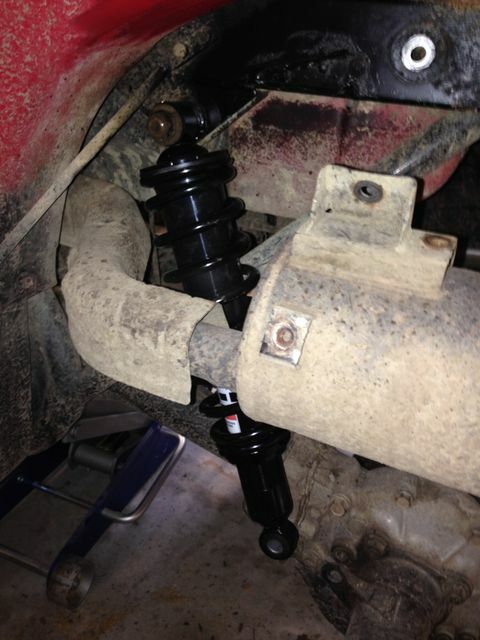 These kits are very well made and relatively easy to install following the included directions. 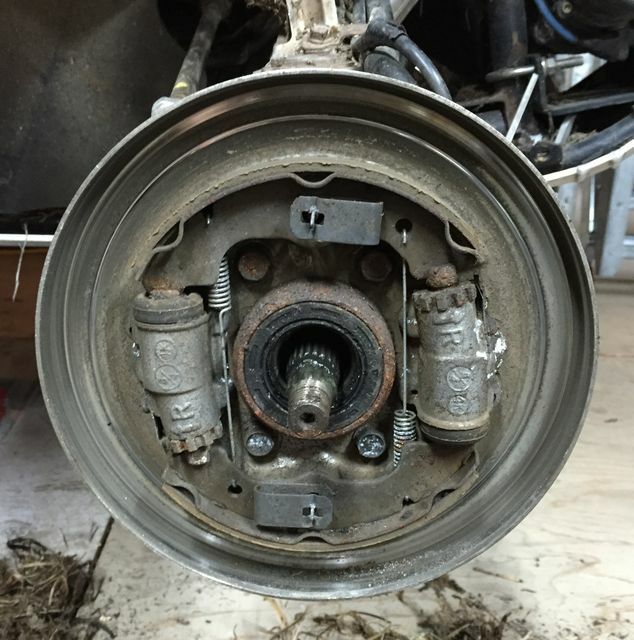 The new brakes work much better than the old drum brakes and don't require nearly as much maintenance to keep them working well after even after months in the mud! While the front end was apart, two All Balls bearing & seal kits were installed in the front knuckles. 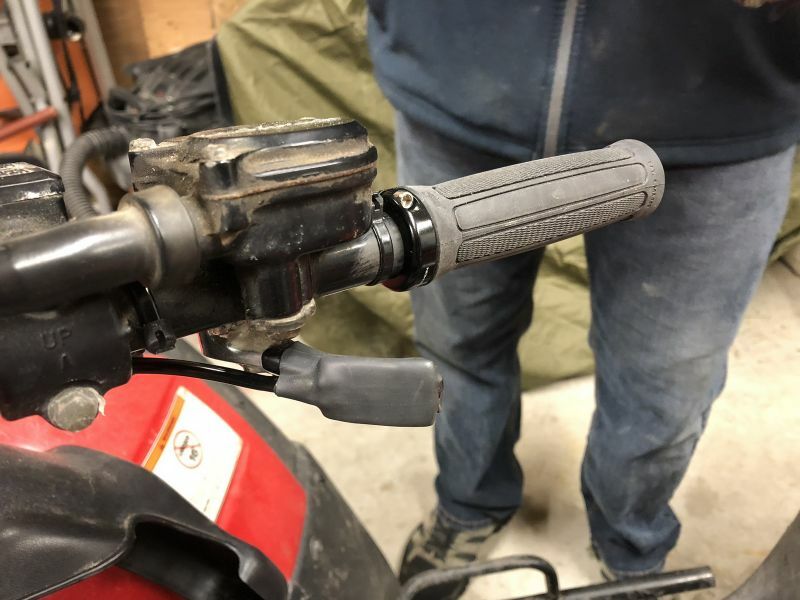 The only other part that was replaced at this time was the cracked handle bar cover. 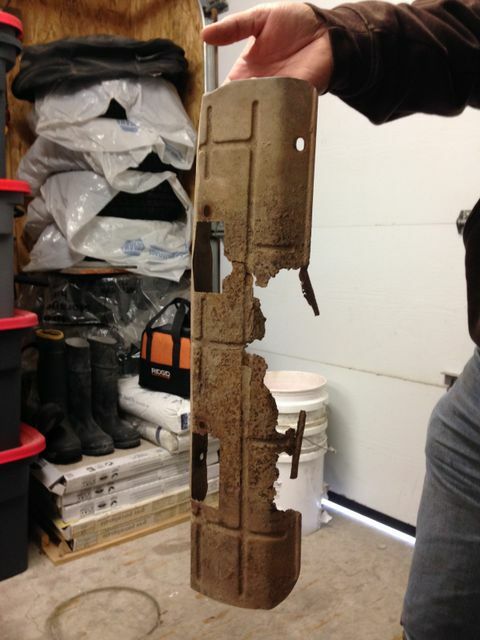 Amazingly the dealer had a New Old Stock part in stock and sold it at a bargain! in 2014 the Foreman needed a couple minor issues fixed. 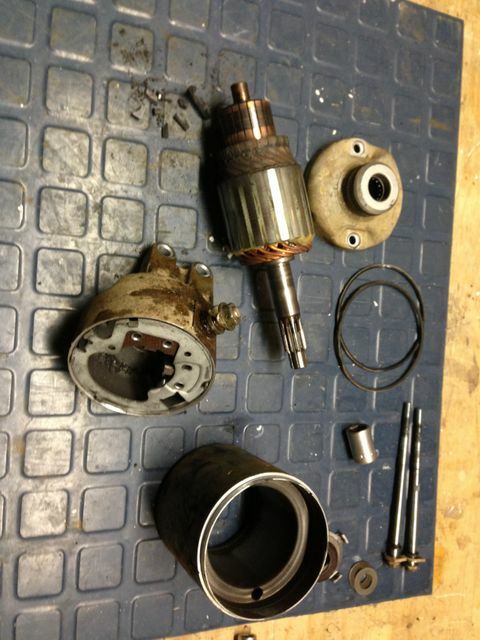 The starter was weak so Bassan ordered a rebuild kit online which included all wearable parts including new brushes. 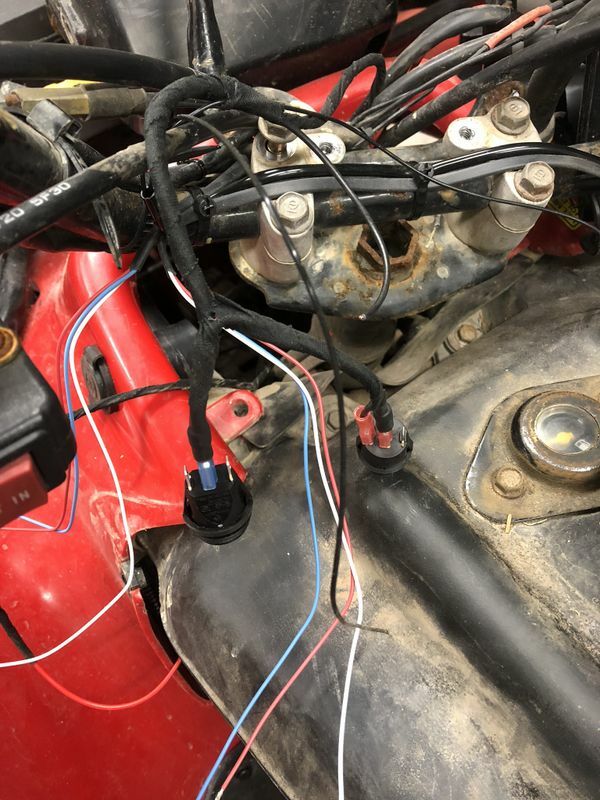 He rebuilt the starter and now its working very well. 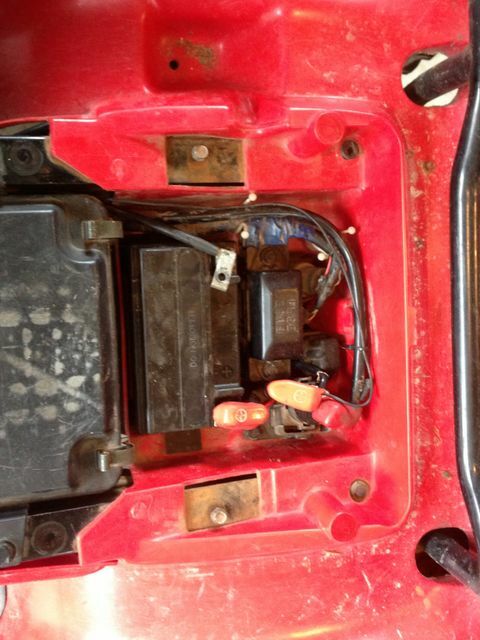 The voltage regulator also failed, a Honda replacement was quite expensive so he ordered an aftermarket part online. The aftermarket voltage regulator didn't last through the following Moose Hunting trip later that year. On the second day it failed and boiled the battery completely dry. Luckily the bike finished the trip by using the recoil starter and made it home safely. 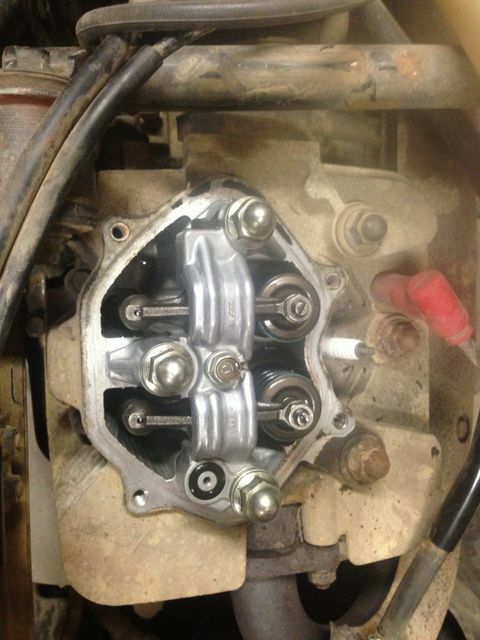 A new proper Honda regulator was installed along with a new battery. In 2015 we made a few more repairs/improvements to the ol' Foreman. 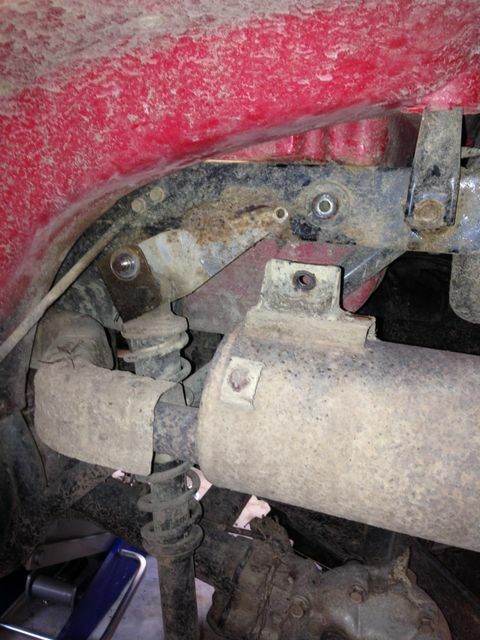 The rear shocks were worn out giving a soft unsupported ride. 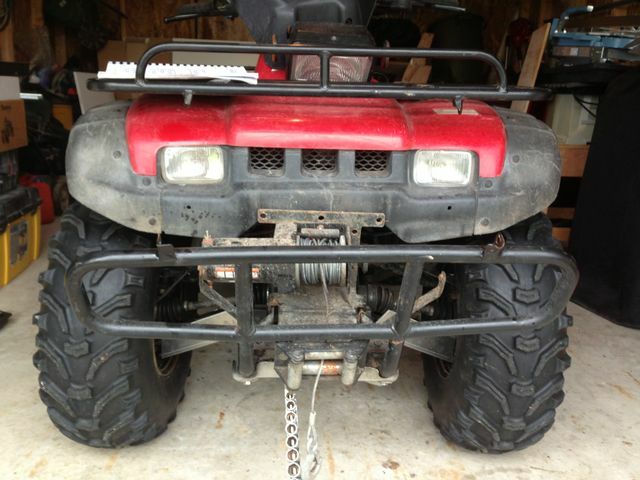 Also the previous owner installed a homemade lift lift that was welded in place in the rear. 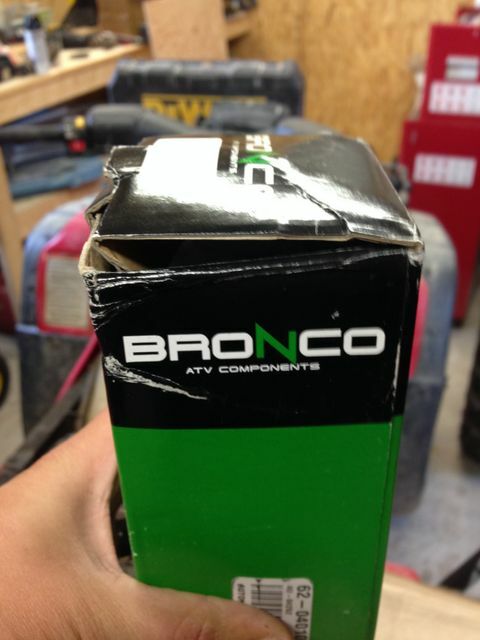 After much much research (and 1000 questions), Bassan ordered a pair of Bronco shocks online which turned out to be a great quality (and rebuildable) product that weren't overly expensive. He also scoured a great deal on a Perfex long travel lift kit. 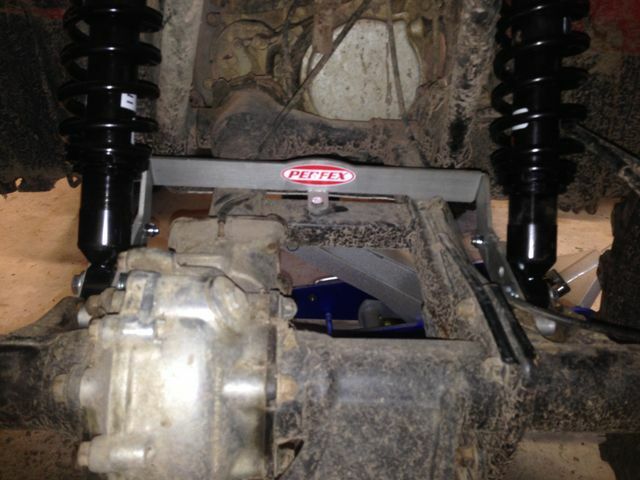 In this picture we had it on its highest setting, but the Bronco shocks are about an inch longer that the originals so we switched to the lower setting for a total lift of approximately 2 inches. The resulting ride was a huge improvement. While we were working in the back we replaced the rusted out muffler heat shield with one I donated to the cause when I removed the stock muffler on my own Foreman project. 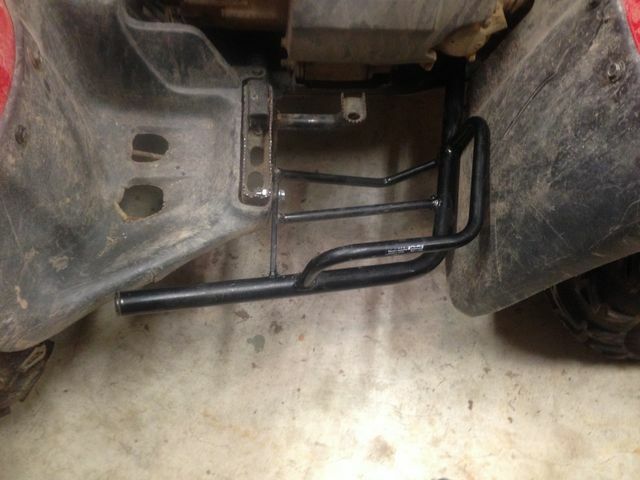 The last improvement piece we added this year was a set of foot peg extensions sourced on a local classifieds site. Bassan was sceptical about installing them at first, but after riding with them he said he'll never go without a set. 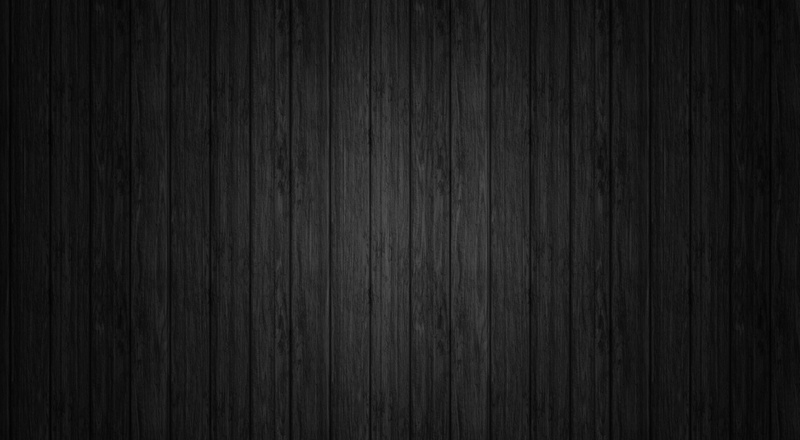 They give a lot more support to stand on and provide great protection for your feet in uneven tangly terrain. 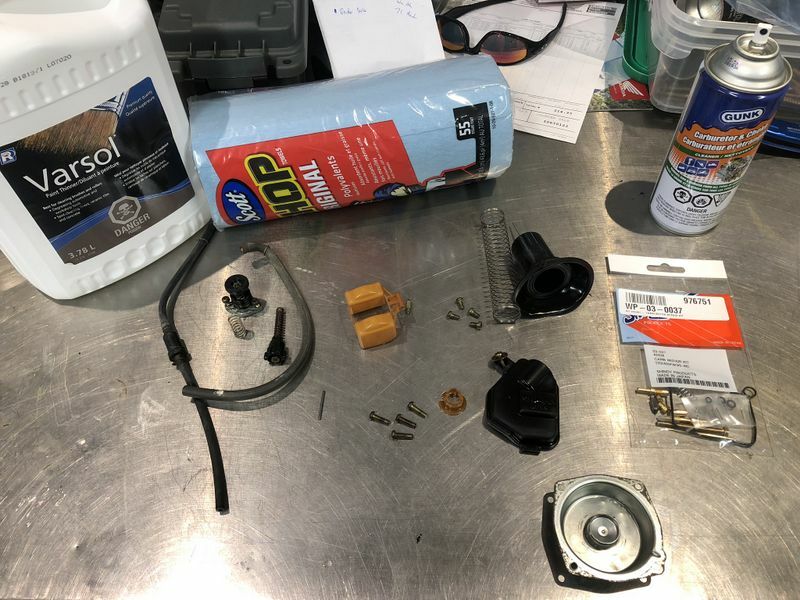 The last items tackled in 2015 were just general maintenance items such as changing the oil and adjusting the Intake & Exhaust valves. They were a little loose and the adjustment has made the bike much quieter and easier to start. 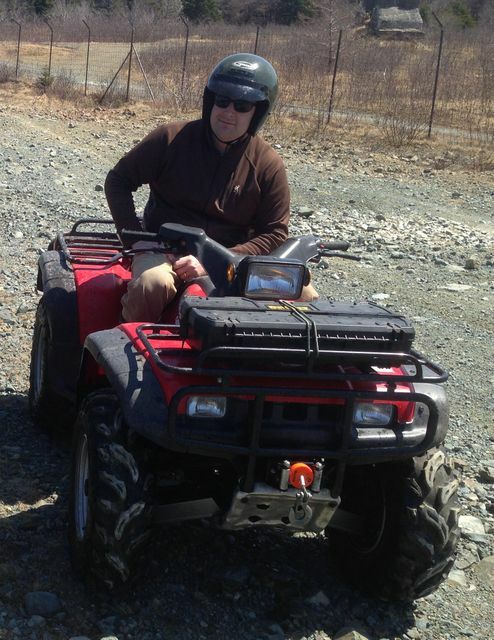 Although we've gotten out for a few rides, primarily this is a Moose Hunting machine and it does this job very well! Andrea made a custom box which not only secures a Kolpin Gun Boot, but allows him to carry our 1/2 moose at a time with ease. 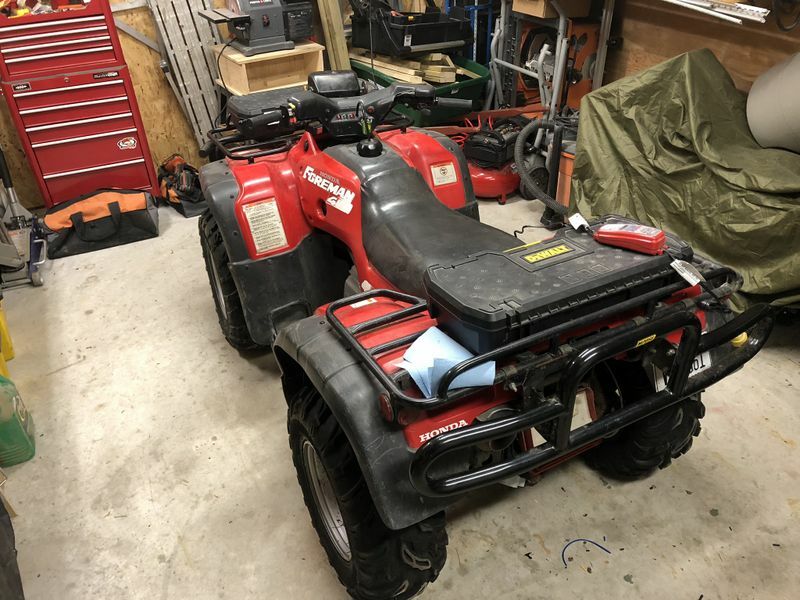 In 2018 Bassan had a couple upgrades and repairs on his to do list for the trusty Foreman. First up was installing a set of Heat Demon heated hand grips and a thumb warmer on the throttle. The new Heat Demon grips are a nice re-design over the older set I installed on my own Foreman in 2013, the new ones are much more comfortable and they tighten in place with an Allan head bolt as opposed to being glued in place with epoxy like my older set. 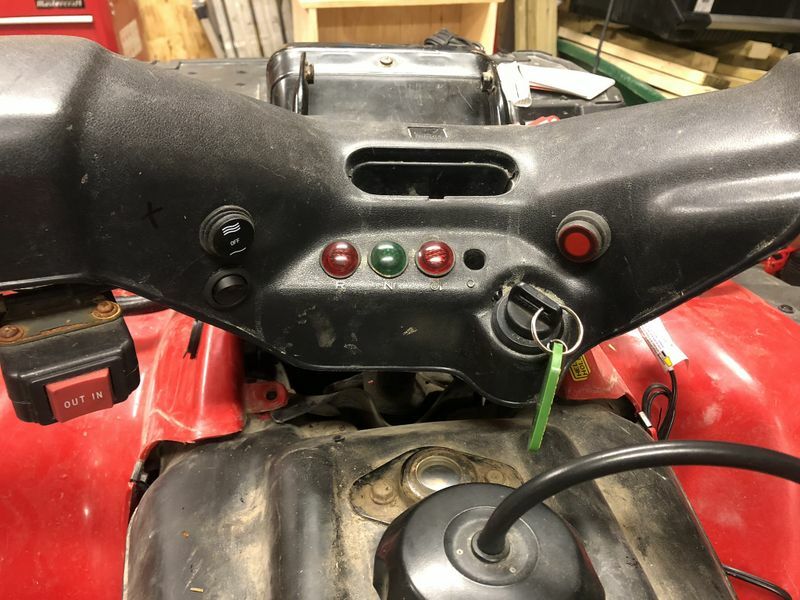 Bassan opted for the standard Hi-Low switch for the grips as opposed to the integrated 5 step controller that comes as a full kit. I made up a custom harness wrapped with Tessa Tape and terminated the wires to proper length for a clean tidy job. Bassan's bike also did not have an 12v accessory plug so we installed a weather proof unit he ordered online, locating it in the upper left front fender. We wired the plug to the battery via a fuse & a relay so that the plug would only work with the key on. 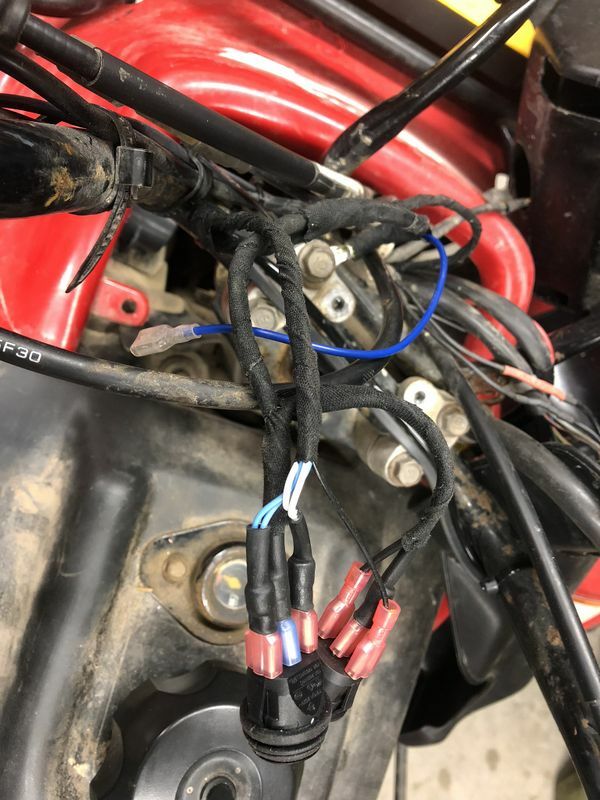 Then I wired the new heated grips into the new 12v accessory plug. The two switches (one for grips & one for thumb warmer) were mounted in the handlebar cover on the Left Side. The single switch on the right side operates the engine oil cooler fan. 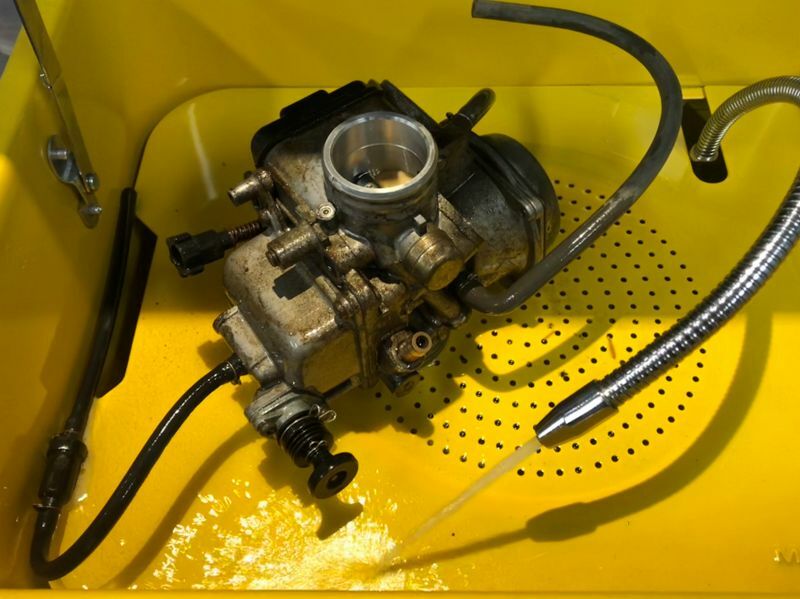 The final project for this year was a cleaning and rebuilding of the carburetor. 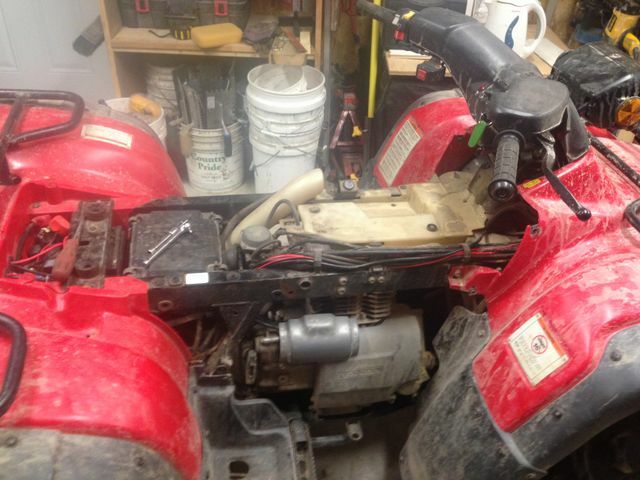 Bassan removed and dropped the carb to my place so I could make use of my tools and parts washer. I always start by cleaning the mud & debris from the outside of the carb so I don't contaminate the delicate inner workings later. 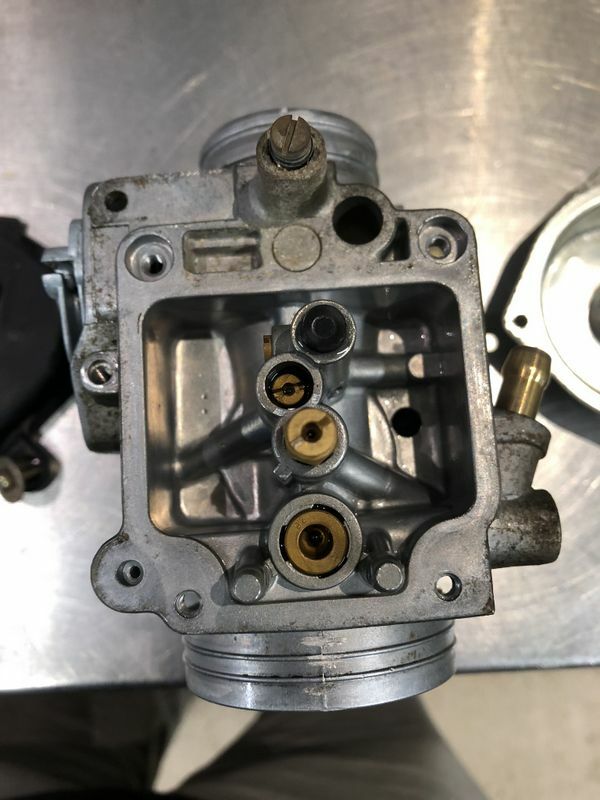 Next the carb was disassembled to thoroughly clean and inspect all parts. 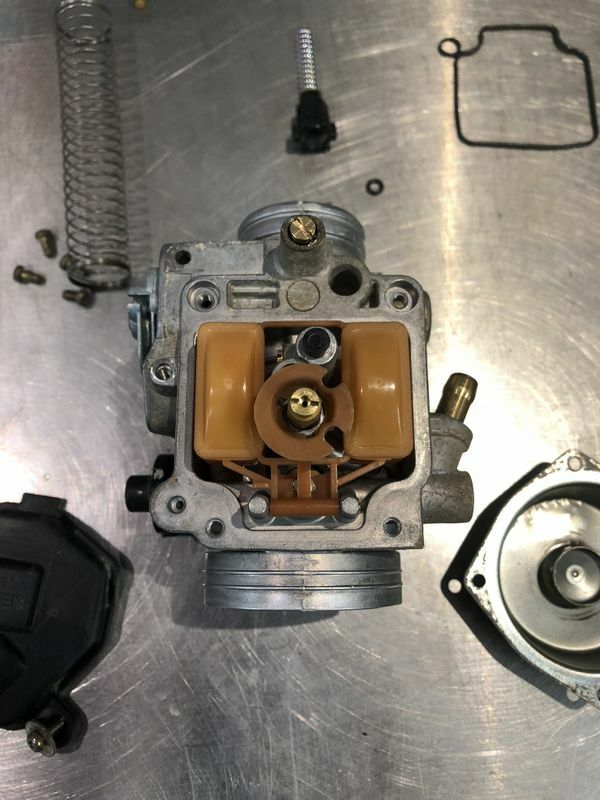 Bassan ordered a full rebuild kit so I installed all of the included parts which consisted of new seals, jets, and needle. 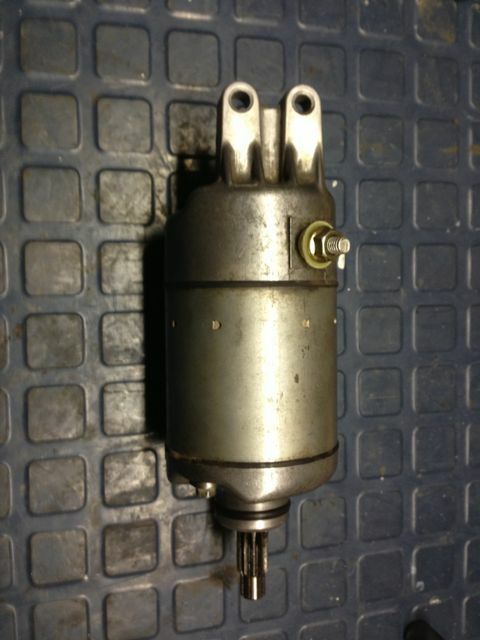 Some of the original jets were partially plugged up after years of use and old gas sitting in the carb. 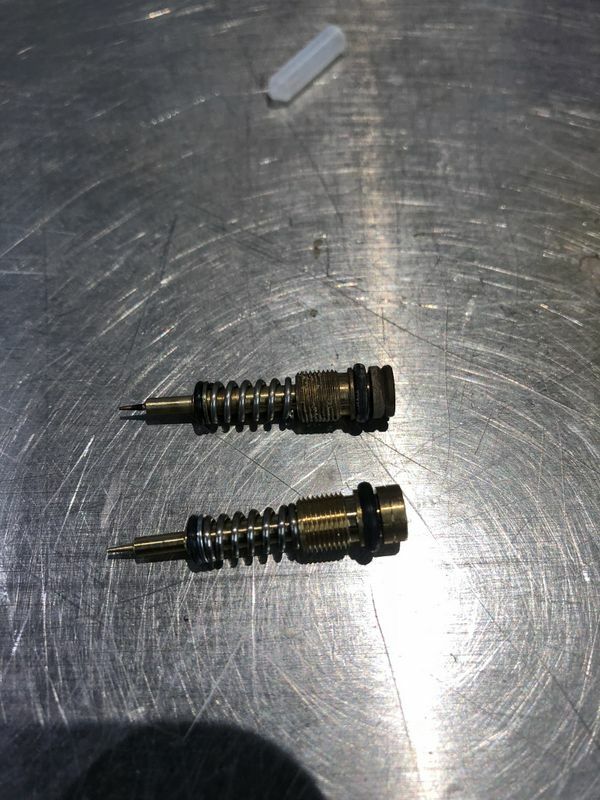 Even this little bit of crap on the tip of the pilot jet can make a difference in how the bike starts and runs. 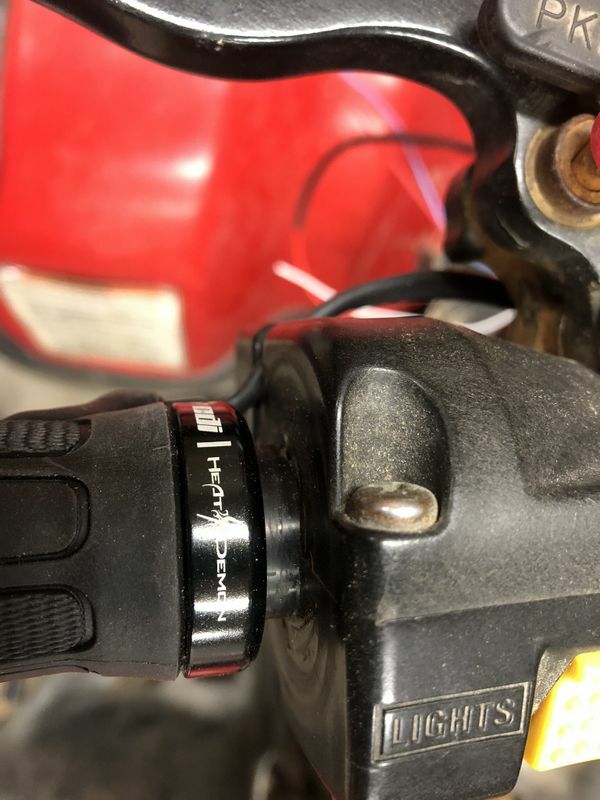 With the carb reassembled, Bassan reinstalled it on the bike, set up the idle speed and was happy to report that it starts much easier and runs very well! 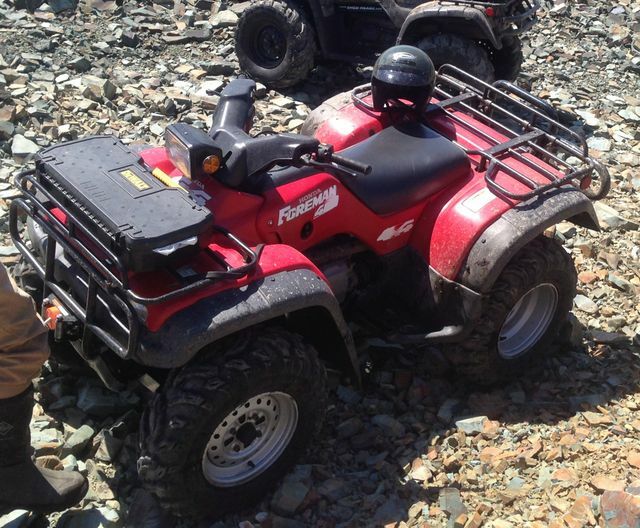 Now the trusty Foreman is all ready for the 2018 Trepassey Moose Hunting trip coming up in a few days time!